It really was a case of mush ado about something in the Highlands. 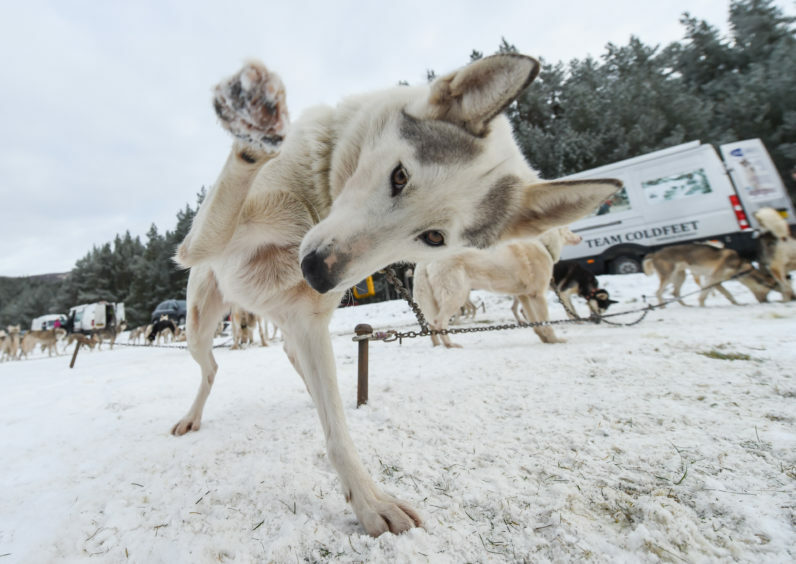 Because, more than 1,000 huskies and 250 mushers arrived in the region at the weekend for the 36th Aviemore Sled Dog Rally. The annual event, which attracted more than 3,000 spectators, took place over forest trails that weave around Loch Morlich at the foot of the Cairngorms. While there was snow yesterday and ice on Saturday, conditions were not quite right for the sledges, so rigs with wheels were used. 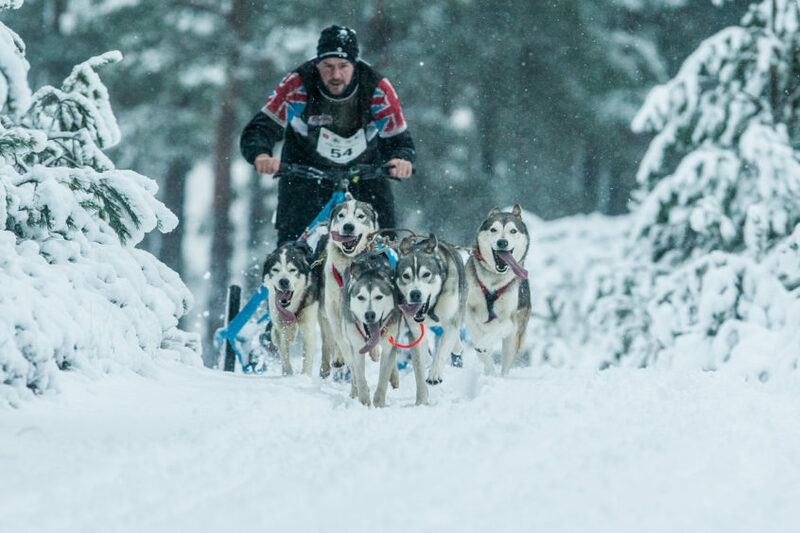 Organised by the Siberian Husky Club of Great Britain, in conjunction with Forestry Commission Scotland, competitors from all over the UK took part. Peter Jones, event organiser from Lincolnshire and four-time winner of the rally, said: “It has been a brilliant weekend. “We were supposed to start at 9.30am on Saturday, but we had icy conditions and had people out working on the trail. It opened at 1.30pm and everyone managed to race. “On Sunday we had snow which was a different trail again. It was a good covering for most of the trail, however not enough some parts so we had to run the rigs again. Mark Tate, chief executive of Cairngorm Business Partnership said: “This is a fabulous event and one that attracts people from far and wide to compete and spectate. 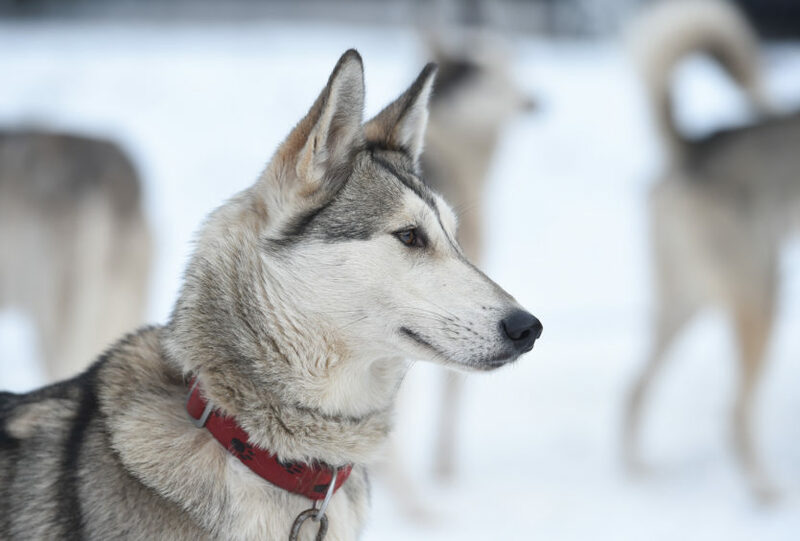 “It is wonderful to see these beautiful, intelligent dogs work their way around the trails and makes for a superb day out for the family. Starrting with an original entry of 12 teams in 1984, the race has developed into the largest in the UK. 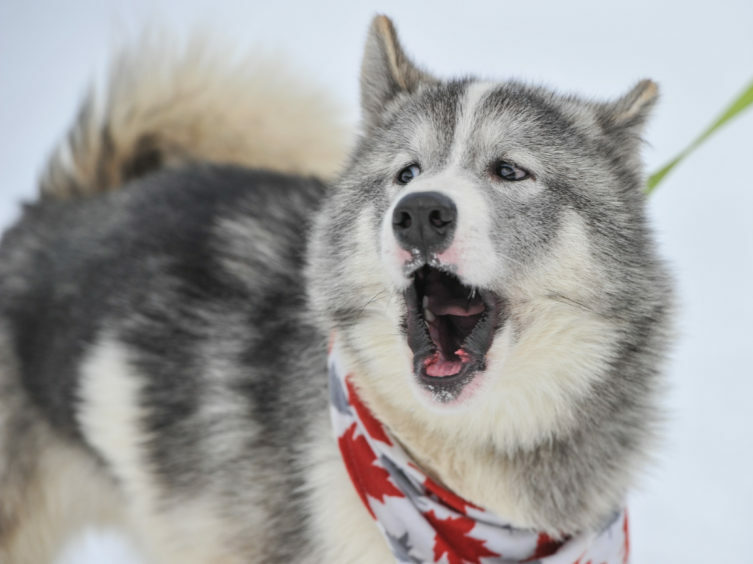 It featured race dogs including Siberian Huskies, Alaskan Malamutes, Samoyeds, Greenland Dogs and Canadian Eskimo Dogs. Mr Jones added: “The Cairngorms are a beautiful backdrop for the race, we have always enjoyed a lot of local support and feel very welcome. 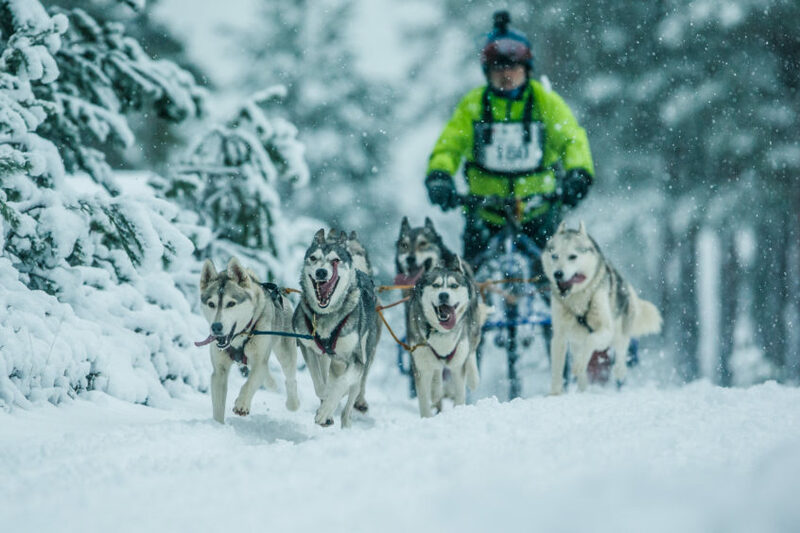 “The event is a real crowd-pleaser and a great family day out, so we encourage all to come along and watch the race, meet the mushers and dogs, and learn about the sport. 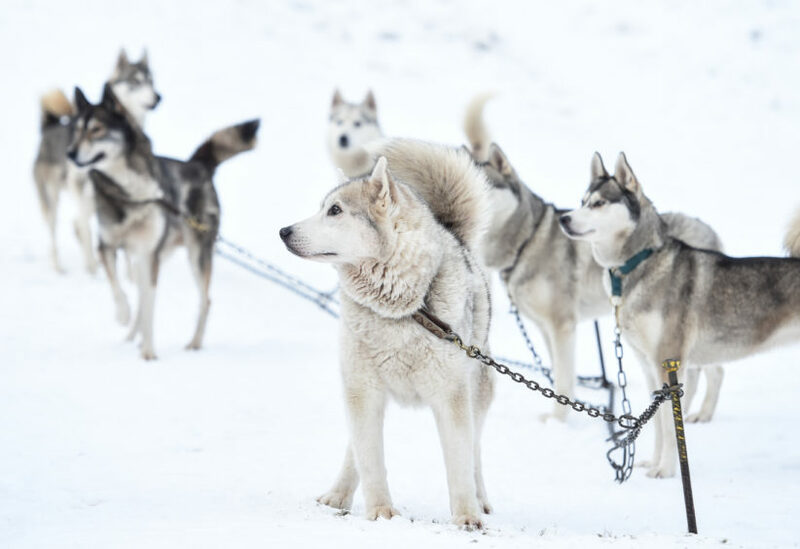 The event featured teams of between two and eight dogs pulling their musher on a sled around a four to seven-mile trail, with race speeds reaching up to 25 miles an hour.